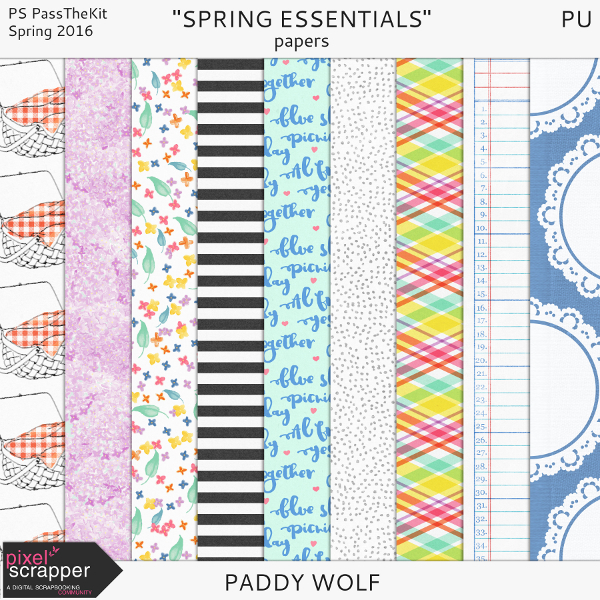 this month i had a chance to take part in a great two week designer challenge hosted by the lovely ania at pixelscrapper.com- "pass the kit- spring edition"! 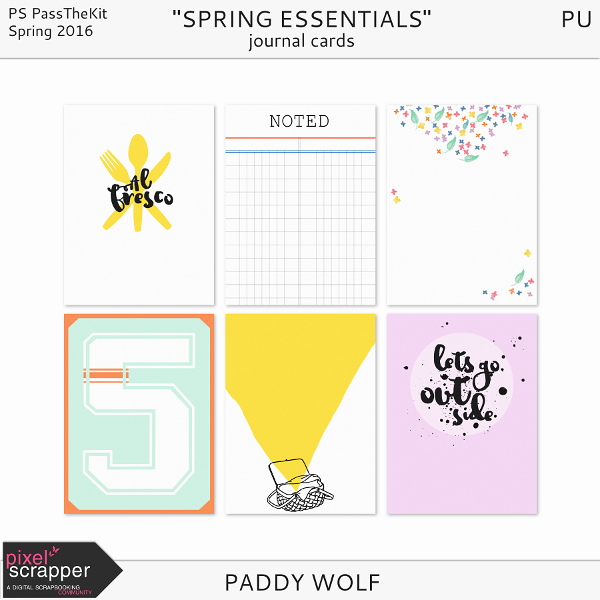 it's a really cool project where a group of design enthusiasts get together on creating a scrapbook kit by feeding off of each others creations and ideas. brainstorming, sharing real-time feedback and thinking on the go were the highlights for me! elizabeth, holly, jody, loriene and i decided to create a little hommage to spring and all its charms. and that translates outdoors. because we all enjoy those first warm sunbeams and fresh air. the blooming nature invites us to go for a stroll, tend to our gardens, get more active and- have a picnic! admittedly, i don't actually do picnics. but i do bring my plate outdoors every chance i get. because food always tastes better al fresco! there is something very romantic about packing up a picnic basket and spreading a plaid tablecloth on the grass, though. in a nearby park. nibbling on tiny strawberry pies over a glass of chardonnay. with bird song and kids play as soundtrack. a bit breezy, but still warm, and the air that smells of lilacs. all of which, i think, this kit portrays very well! also, i have a little premier for you guys- my first ever alpha set! including a full upper, lower case, numbers + some basic symbols in wood veneer style. nothing fancy- i like my alphas basic, legible and easy to combine in various projects. Thank you Paddy. Love the colors and how cute is this kit! glad you like it, meg! Btw, the link to lorien rezende: loriensworkshop blog does not work. i'm trying to acquire a valid link from lorien and will fix it soon as i hear from her. apologies for the inconvenience. 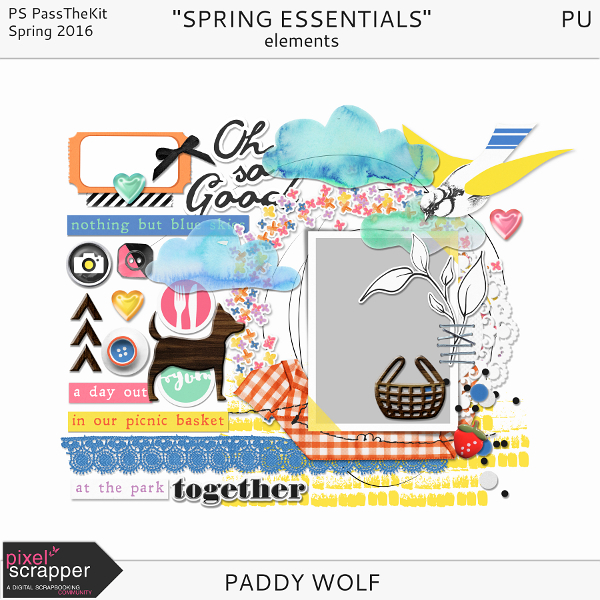 Your stuff is always gorgeous Paddy! Love the picnic theme.